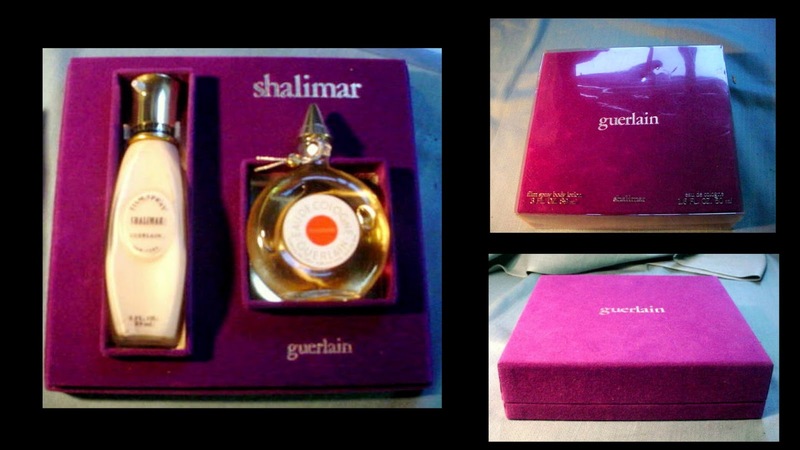 Vintage Shalimar Gift Set c1970s. Includes: 1.6 oz Eau de Cologne in Montre flacon and 3 oz Film Spray (moisturizing lotion). Presented in a lilac flocked box with a plastic sleeve to protect the box.